Canada's Source for the SKR™ Bags by Maxpedition's Advanced Gear Research. 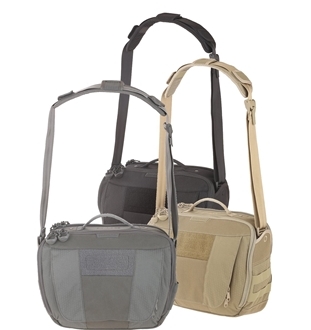 The SKYRIDGE Tech Messenger Bag is a single shoulder strap pack, and has a fully loop-lined rear CCW compartment. The front organizer compartment has a magnetic and zippered closure. The main compartment has numerous pockets, sleeves, and elastic for excellent organization. There is a dedicated 13.3" laptop compartment and a padded tablet sleeve. The shoulder strap includes a curved shoulder pad and pivoting strap connections. Are you a shark? Identify your clothing or gear with this Great White Shark morale patch by Maxpedition. 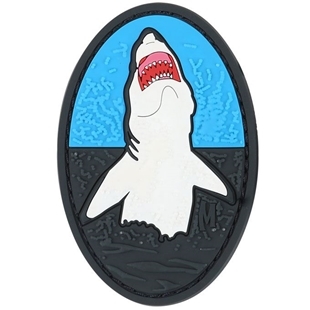 The 3D PVC morale patch shows a shark leaping from the water with its mouth open. This morale patch measures 2 by 3 inches and is available in SWAT.